Sometimes relationships just do not work and that is a sad but true fact. Maybe you want different things or maybe they are not providing you what you need to really fill fulfilled. Whatever the reason, you may find yourself wanting more from life, and find yourself considering a life without your partner. In this case, it is time to break up with them and move on. However, they may not have done anything wrong to hurt you and in that case, you want to spare their feelings as much as possible. 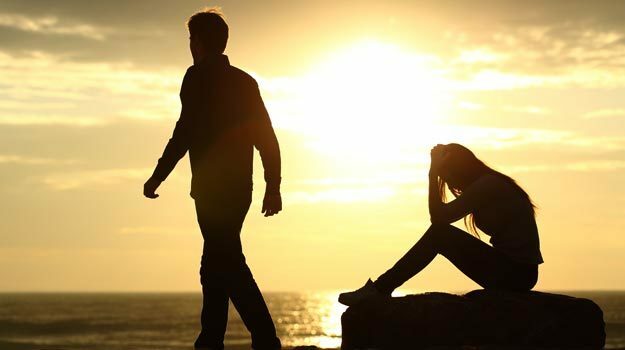 Inevitably they are going to feel hurt from the rejection but breaking up with a woman like a real man will leave her feeling as though she was treated fairly and kindly, instead of being shunned. This can lead to years of heartbreak and misunderstanding, which can be resolved by treating the situation correctly. Maybe she also wants the same thing as you or is feeling similarly but does not know how to bring up the subject. For her, she may feel that confronting you will be the end of the relationship. Try sitting down with her and talking to her about how you feel. Honesty is the best policy. Do not jump straight into a break-up but relay the reasons you feel unsure and the causes of your restlessness. You may be surprised, she might have some ideas on how to resolve the situation or she may even consider breaking up herself. If you are deciding to break up with your girlfriend, be honest as to the reasons why. Do not turn it into a fight or an argument, just clearly state why you do not want to be with her. If there is someone else, tell her. If you want to be single, tell her. If you find her too ambitious, or you cannot keep up with her, or you don’t like her family, tell her. Otherwise, she will spend her precious time wondering why you left her and leading her to feel bad about her own character. If it is a flaw on her, she can rebuild and work on this. If it isn’t and you weren’t honest, it can lead to self-hate on her part due to the confusion and misunderstanding. If you don’t want to be in a relationship, that is on you and the way you feel. If you feel she nags you too much, the likelihood is that you are both incompatible in domestic habits, or you have different expectations of what people should do every day. Perhaps you feel she is too career-focused and doesn’t spend enough time with you. The problem is that you are incompatible with your ideas of how to progress in the future, and your focusses are different. Never make her feel she is to blame for the way you feel; only you are to blame for the way you feel. If you want to go, then just go. But on the flipside, don’t take off in the middle of a meal with her family, or one morning after she lovingly makes you breakfast in bed, without any prior conversation about the tension. You need to discuss your feelings with her and then make a decision and stick to it. Breaking up with someone is difficult, but you have to be strong and do it from a true and honest place. And lastly, if you want to let her go, let her go.